Children learn that elections are an earned right and responsibility of citizens. They meet new citizens and learn why and how they became citizens. 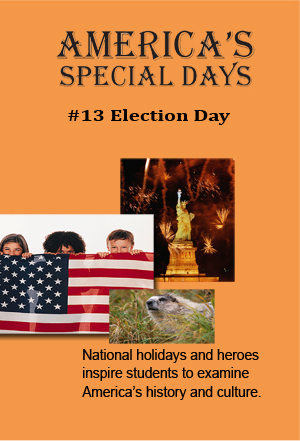 School elections and national elections are compared and contrasted. This episode focuses on grade school students preparing to vote in a city-wide school election to determine the names of two new high schools under construction. In the process, students learn valuable lessons about civic responsibility. After hearing about the history of American voting, students actively research the issue of school names, campaign for their favorite names, register to vote by compute and paper ballot, and tally the results. We also see grade school and high school students participating in the process and hear their end or cement of voting in free elections.